Located two-hundred square miles in Southeastern Massachusetts is the infamous Bridgewater Triangle. With a long history of mysterious and sinister occurrences, the area was dubbed The Bridgewater Triangle by Cryptozoologist Loren Coleman in his published 1983 book, Mysterious America. In 1975, Coleman conducted a great deal of research into the area and published several books on the subject. The triangle starts at Abington to the North, down to Freetown in the South East, and Rehoboth in the South West, encompassing all within it and the surrounding areas. 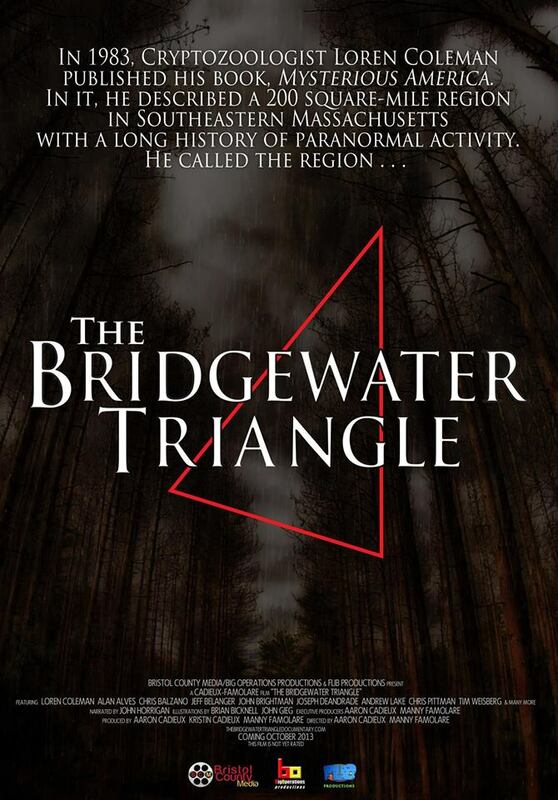 Bristol County Media, and Flib Productions, have released a documentary focusing on the triangle titled The Bridgewater Triangle on October 20th, 2013 in the United States. Written and directed by Aaron Cadieux, with Co-Director Manny Famolare, The Bridgewater Triangle is the first feature length film on the fascinating matter. Narrated by Emmy Award Winning television host John Horrigan (The Folklorist 2012-2013, Be a Bruin 2006), The Bridgewater Triangle features footage from many areas in the triangle, as well as interviews with eye witnesses, esteemed paranormal investigators, cryptozoologists, policemen, and the like. Focusing on one area at a time, the documentary outlines some of the creatures seen or strange occurrences, bolstering this with interviews with the eyewitnesses. 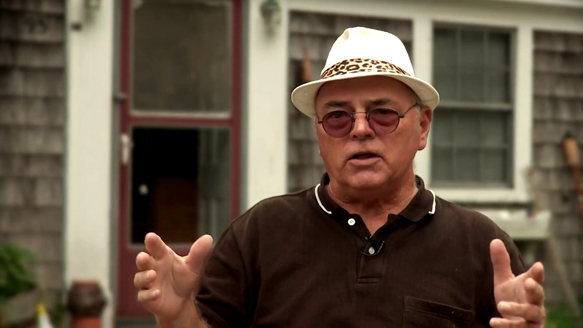 Jeff Belanger is a published Cryptozoologist among those interviewed. He is quite familiar with the area and has obtained many stories from paranormal enthusiasts. An unusually high number of strange, paranormal, sinister, supernatural, and terrifying events occur in the triangle with no explanation. Just about every creature imaginable; from Big Foot, to demon dogs, UFOs, Thunderbirds, and hauntings, have been sighted and recorded by ordinary citizens. Christopher Balzano is a Paranormal Investigator who conducted the paranormal investigation in the Rehoboth area. He consequently released two books including their investigations of the area which revealed a bloody and brutal history of warring Native Americans and the English. This may account for some of the strange occurrences in the area, but was it the cause of the troubles or is it a consequence of something that was already there? Radio, TV Host, and Personality Tim Weisberg hosts a Radio Show on WBSM – Spooky Southcoast Radio, and has had so many stories given to him in relation to the areas within the triangle he has also released books containing them. These are just a few of the high profile people giving weight and fact to the credibility of these places and events. 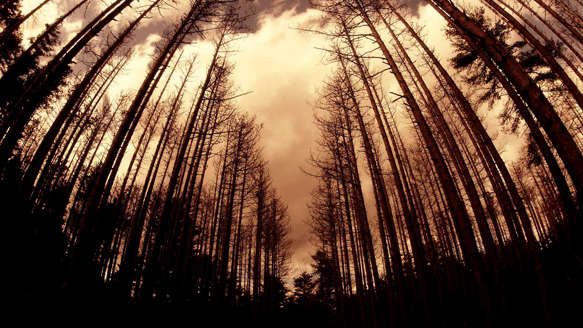 One of the many locations in triangle is Hockomock Swamp, which is perhaps the place known cryptic animal sightings, UFO sightings and spooklight sightings,. Numerous sources could contribute to the evil that looms there include Satan Worshipers, massacres, Indian Burial Ground, and mystical etched rocks at another triangle location called Freetown State Forest. Disappearances, drownings, and an assortment of other violent deaths are rife in this hotspot. It has an unsettling atmosphere, and almost every imaginable weird or horrifying creature, ghost, or extraterrestrial has called this place home. There is a mountain of evidence obtained from within the triangle which make the Bermuda Triangle look like Barbados in comparison. For what reason the place seems to be cursed, we may never know, but this documentary certainly sheds light on some possibilities all the while terrifying the viewer. Special effects are simply excerpts of film footage, artists renditions of what they saw, and it works. The combination of information is both informative and compelling, and the ending will have viewers begging for more. The bizarre, baffling, and often unexplained events that continue to happen are even scarier because it is real. 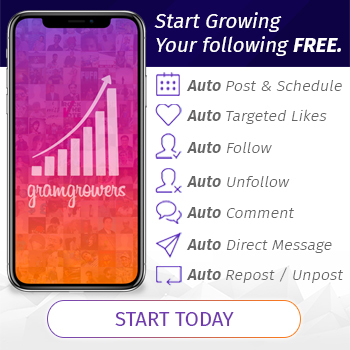 In 2003, Coleman opened a museum to the public in Portland Maine that contains many artifacts and evidence, including plaster casts of alleged big foot prints, and it would be worth checking out for any viewer close to the area. The Bridgewater Triangle is a must watch for fans of non-fiction that relies heavily on actual evidence, and has paranormal and supernatural aspects. Made even scarier by the true events, the cinematography by Cadieux and Famolare makes good use of the natural occurring creepy woods and swamps, and the fear of those involved in the events sometimes decades later. 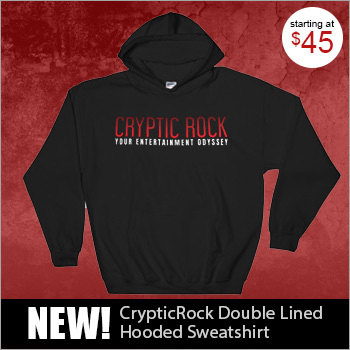 CrypticRock gives The Bridgewater Triangle 5 out of 5.